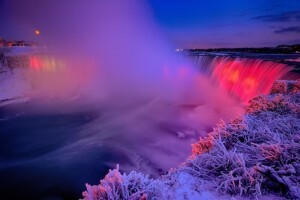 Winter in Niagara Falls is truly stunning. The bright white snow and shining ice turns the landscape into a wintery paradise. However, most visitors during this season don’t come for the gleaming beauty of the day — instead, it’s the glinting of the night that inspires wonder. 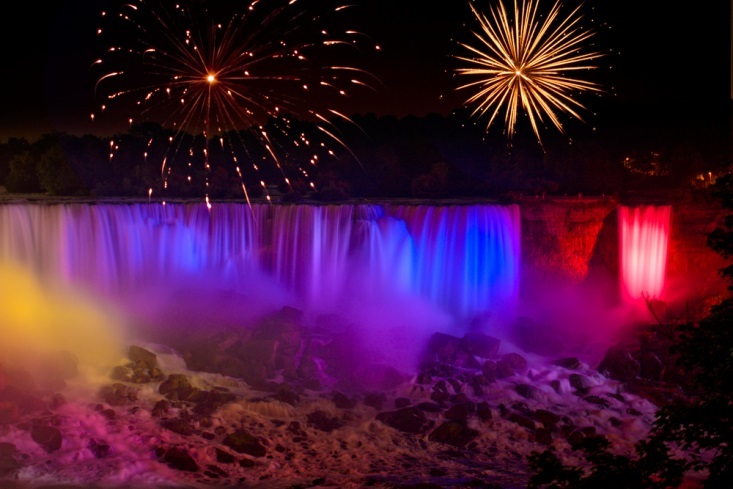 During the winter season, Niagara Falls’ nights are filled with glitter and magic as Ontario Power Generation decorates the city for its annual Winter Festival of Lights. By a wide margin, Niagara’s Winter Festival of Lights is Canada’s largest celebration of the season, as it attracts more than one million eager visitors every year. The festival has been in operation for over 30 years, which means it has had time to perfect the subtle art of dazzling and amazing with light and sound alone. More than three million twinkling tree lights and 120 animated displays are placed along a winding eight kilometer route that accommodates both vehicles and pedestrians. The exhibits cover important and interesting topics, such as Canadian wildlife, as well as simple and pleasant shows celebrating the joy of the season. Additionally, every Friday at 9 p.m., the glimmering ground lights are supplemented by a stunning fireworks presentation that lights up the surrounding countryside in bright bursts of color. The festival consumes a large portion of Niagara Falls, meaning you are never far from a fantastic display of holiday and winter cheer. While the following are the locations of visitor and local festival favorites, they are by no means the only places you’ll find lights. Dufferin Islands. These manmade islands connected by a series of land bridges are a quintessential slice of Canadian forest during the day, but at night they light up to become the setting of Ontario Power Generation’s Great Canadian Outdoors. You and your family will be able to spot modern and indigenous wildlife shining through the trees and along pathways. Fallsview District. Illuminating crosswalks and pathways around Niagara’s bustling tourist area, giant gusts of wind and snowflakes make Niagara feel even more like a bright winter wonderland. Plus, visitors to this area will be delighted to see the giant Skylon Tower lit decoratively for the season. The Winter Festival of Lights is impossible to miss, and when you stay in Niagara Falls’ tourist district you’ll be minutes from the fairyland’s main thoroughfare. The festival runs from November to January, giving you plenty of time to experience everything that it offers. In order to make the festival available to one and all, Ontario Power Generation does not charge an entry fee to parties of any size or age, but they do encourage donations: between $5 and $10 dollars per car and as little as $1 per individual bus passenger.